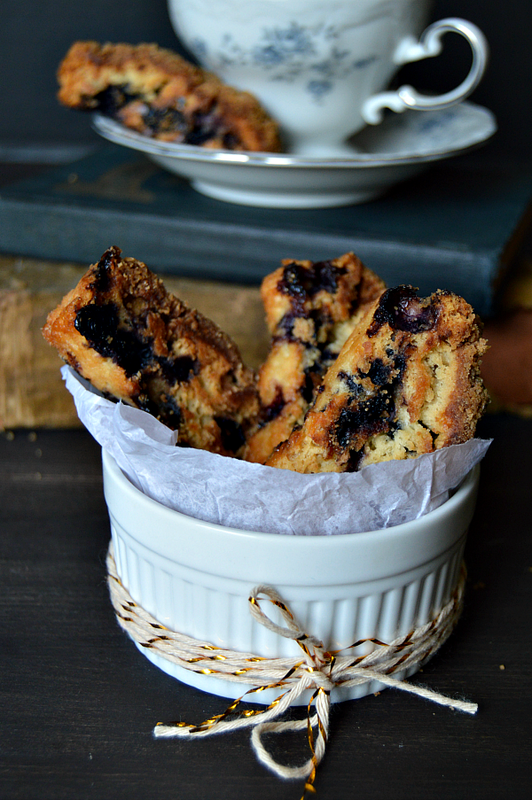 So I am totally on a biscotti kick right now. 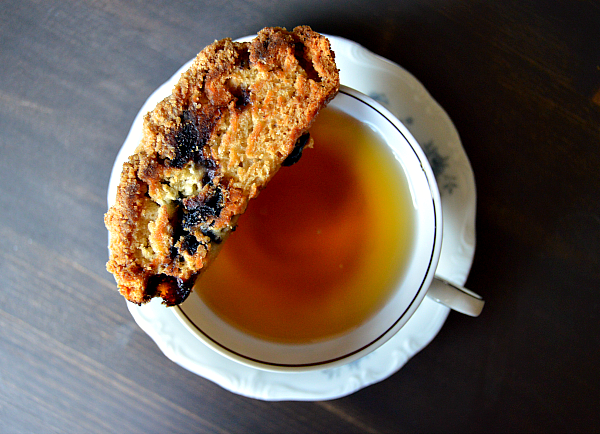 I am a huge tea and coffee drinker, so the fact that I love biscotti should come as no surprise. 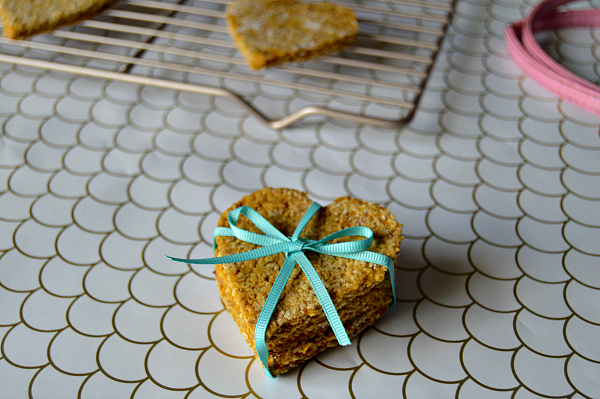 However, being vegan it can be a little challenging to find ready made biscotti that don't contain milk or eggs. So I came up with this incredible Triple Chocolate Biscotti for one of my Valentine's Day inspired recipes. I mean, come on, what screams love, security and satisfaction more than chocolate? FYI: the answer is nothing. Anyways.... the Triple Chocolate Biscotti is perfect alone or with coffee, but I definitely wouldn't dip it in my tea and honestly I drink like 40 cups of herbal tea a day... No I'm not exaggerating... It's the honest-to-goodness truth. So I knew I needed to make another batch of biscotti that would again be delicious on it's ow,n but would also make a lovely companion for my tea. 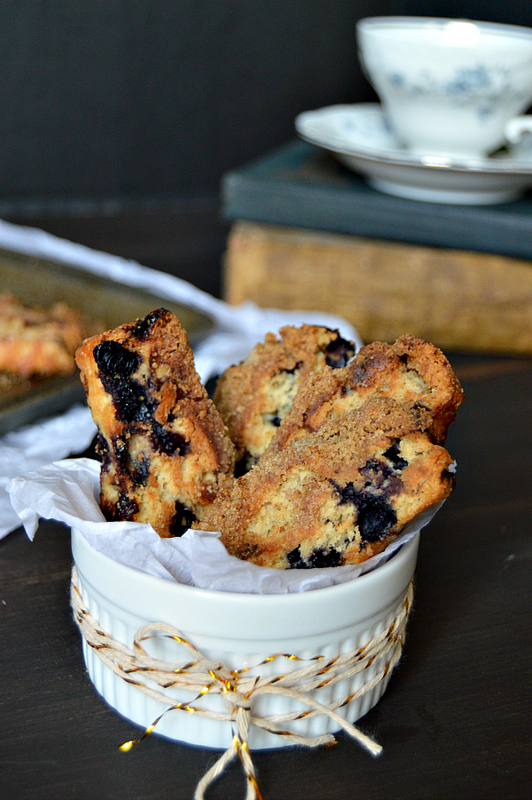 A few months back, I made these incredible Vanilla Blueberry Muffins, and boy were they a hit! They were definitely the perfect breakfast muffin and I remembered the flavor went really well with my morning tea. So I figured I should try to recreate the flavor in biscotti. 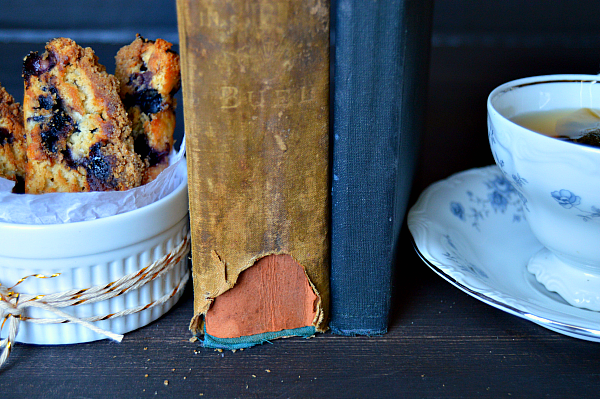 This Blueberry Muffin Biscotti is not as bold and rich as the Triple Chocolate, but its sweet and mild flavor go perfectly alongside tea. 1. Preheat oven to 325 and line a loaf pan with parchment paper. 2. 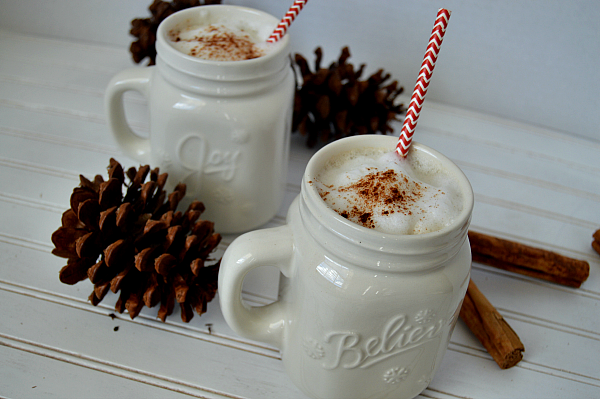 Shift together flour, baking powder, and sugar then stir in melted coconut oil, and almond milk. Gently fold in the blueberries. 3. Mix all the ingredients for the streusel topping together until well combined. 4. Spread batter evenly in the loaf pan and then sprinkle the streusel on top evenly. Then sprinkle an additional 2 tbsp of brown sugar over the top of the streusel. Bake for 45 minutes. 5. After 45 minutes remove the loaf from the oven and allow it to cool for 10-15 minutes. Using a bread knife slice pieces off the loaf about an inch thick. 6. Lay slices face down on a baking sheet and bake for 20 minutes at 325. Flip slices over and bake for an additional 20 minutes. These were awesome! Turned out great before and after second bake. Thanks!